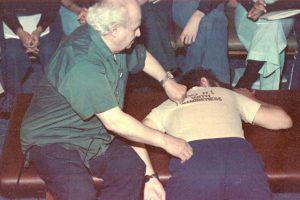 Moshe Feldenkrais was a pivotal figure in the science of somatics. Grounded in physics, biology, and learning, his method remains one of the most advanced and comprehensive approaches available for developing human potential. 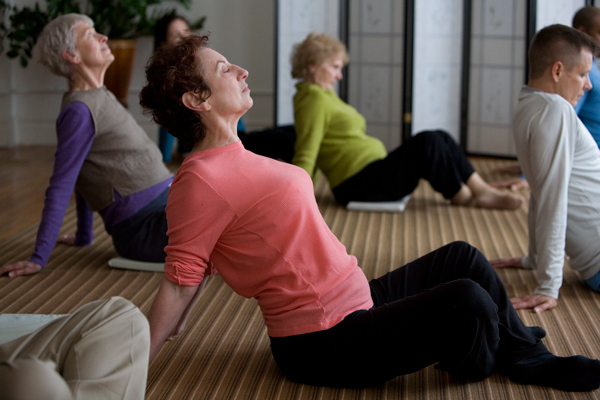 Feldenkrais discovered that exploration through movement offered so much more than relief from chronic pain. He became interested in the question of human potential. Like Feldenkrais, many people come to the Method because of physical pain or disability, but often find more than just physical relief. 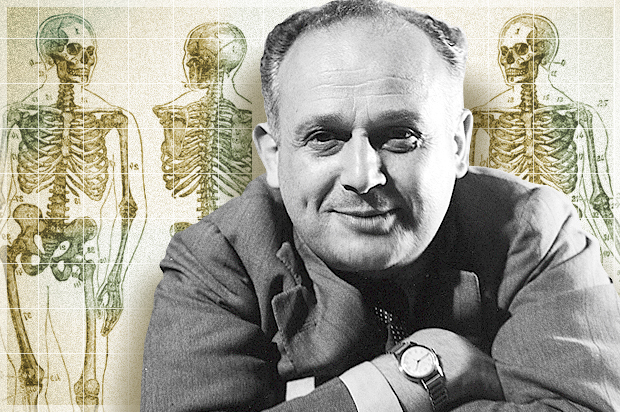 After arriving in 1919, Feldenkrais worked as a laborer until 1923 when he returned to high school to earn a diploma. While attending school he made a living by tutoring. After graduating in 1925, he worked for the British survey office as a cartographer. 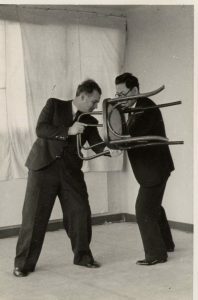 Feldenkrais was involved in Jewish self-defense groups, and after learning Jujitsu he devised his own self-defense techniques. He hurt his left knee in a soccer match in 1929. While convalescing he wrote Autosuggestion (1930), a translation from English to Hebrew of Charles Brooks’ work on Coué‘s system of autosuggestion, together with two chapters that he wrote himself. He next published Jujitsu (1931), a book on self-defense. In 1930 Feldenkrais went to Paris and enrolled in an engineering college, the Ecole des Travaux Publics des Paris. He graduated in 1933 with specialties in mechanical and electrical engineering. In 1933 after meeting Jigaro Kano, Judo’s founder, Feldenkrais began teaching Jujitsu again, and started his training in Judo. In 1933 he began working as a research assistant under Frederic Joliot-Curie at the Radium Institute, while studying for his Ingeniur-Docteur degree at the Sorbonne. From 1935-1937 he worked at the Arcueil-Cachan laboratories building a Van de Graaf generator, which was used for atomic fission experiments. In 1935 he published a revised, French edition of his Hebrew jujitsu book called, La Défense du Faible Contre L’Agresseur, and in 1938 published ABC du Judo. He received his Judo black belt in 1936, and 2nd degree rank in 1938. 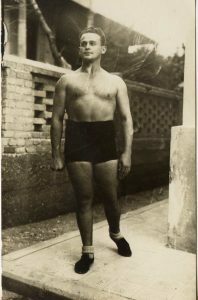 Feldenkrais married Yana Rubenstein in 1938. From 1939-1940 he worked under Paul Lange in doing research on magnetics and ultra-sound. Feldenkrais escaped to England in 1940, just as the Germans arrived in Paris. As a scientific officer in the British Admiralty, he conducted anti-submarine research in Scotland from 1940-1945. While there he taught Judo and self-defense classes. In 1942 he published a self-defense manual, Practical Unarmed Combat, and Judo. Feldenkrais began working with himself to deal with knee troubles that had recurred during his escape from France, and while walking on submarine decks. Feldenkrais gave a series of lectures about his new ideas, began to teach experimental classes, and work privately with some colleagues. Feldenkrais returned to Israel to direct the Israeli Army Department of Electronics, 1951-1953. Around 1954 he moved permanently to Tel Aviv and, for the first time, made his living solely by teaching his method. He worked sporadically on the manuscript of The Potent Self, which he had begun in London. Around 1955 he permanently located his Awareness through Movement® classes to a studio on Alexander Yanai Street. He gave Functional Integration lessons in the apartment where his mother and brother lived. 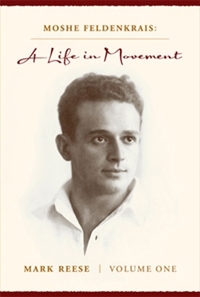 In early 1957 Feldenkrais began giving lessons to Israeli Prime Minister, David ben Gurion. After giving month-long courses internationally, he taught a 65-student, teacher-training program in San Francisco over four summers, 1975-1978. He published The Case of Nora in 1977, and The Elusive Obvious in 1981. He began the 235-student Amherst training in 1980, but was only able to teach the first two summers of the four-year program. After becoming ill in the fall 1981, he stopped teaching publicly. 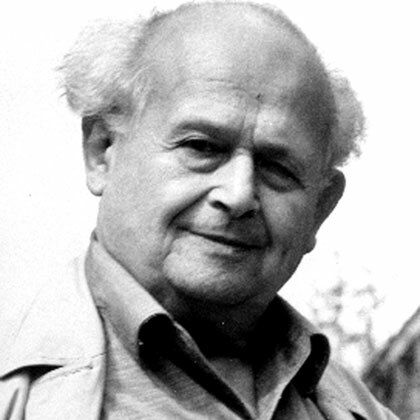 Moshe Feldenkrais died on July 1, 1984.